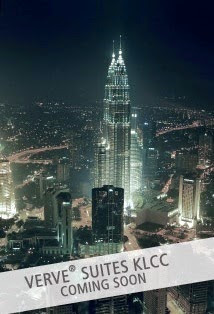 Verve Suites KLCC is a project of luxury serviced apartments located along the bustling Jalan Tun Razak in Kuala Lumpur. It symbolises a perfect blend of dynamic living space and well-designed workspace all within a suite. This modern designed development demonstrates the concept of contemporary living and converges every element that emboldens life. Through its fully furnished designer suites, extensive facilities and privileged view of the Kuala Lumpur skyline, the soon to be unveiled project will serve as a wonderful place for stay, work, play and re-energise.